iOS 9.3 And Jailbreak: Should You Upgrade? 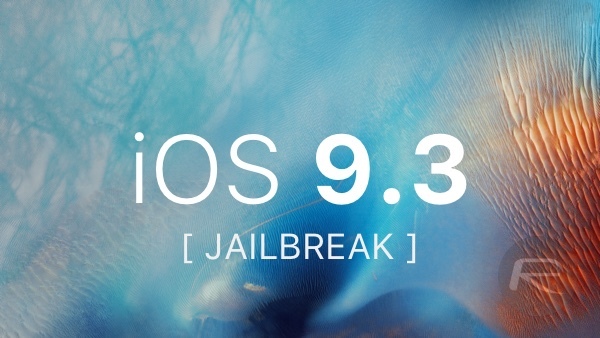 With Apple having now released iOS 9.3, what does that mean for jailbreakers? We have been asked about this a lot, both in the comments here and via email. Rather than go about replying to each and everyone, we thought it would be better to address it here in a separate post to make it clear for everyone. After the recent release of Pangu iOS 9.1 jailbreak when most users had already upgraded to iOS 9.2.1, a lot of criticism was drawn upon why we recommended upgrading to iOS 9.2.1 when a jailbreak was coming for iOS 9.1. As already cleared a number of times in the comments section here at RP, it wasn’t us who recommended upgrading from iOS 9.1, it was actually Windknown, a team member of Pangu, who wrote a technical article detailing critical security vulnerabilities that Apple patched in iOS 9.2.1. He therefore recommended everyone to update to iOS 9.2.1 for security purposes. At that time, it is likely that even Windknown didn’t knew about the iOS 9.1 jailbreak exploit that ultimately found its way in updated Pangu9 jailbreak tool for iOS 9.1. We are now kind of back in the same situation again. iOS 9.2.1 has some serious security issues, one of which lets hackers decrypt photos and videos sent via iMessage. iOS 9.3 patches this and a ton of other security holes as also pointed out in Apple’s security document here. For jailbreaks though, these vulnerabilities could be useful as one of these may get exploited for a potential jailbreak release in future. So, to update or not to update? That’s the question. If you are on iOS 9.2 or iOS 9.2.1 and care a lot of jailbreaking, you should stick to those firmwares because you never know the next jailbreak, whenever released, may or may not support the latest iOS 9.3 firmware. If you decide to stick to iOS 9.2/9.2.1, make sure you keep your device safe from any unknown and malicious enterprise certificate installs. Also try to avoid connecting to unsafe and unprotected public Wi-Fi networks. If you do all of that, you should be good to go on iOS 9.2/9.2.1. 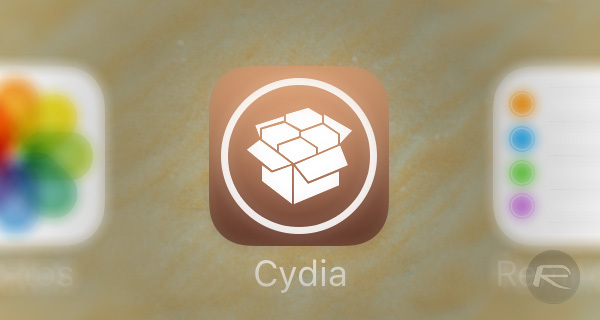 For those jailbroken on iOS 9.1 or below, they too should stay on their current firmware and try to keep their devices as much safe as possible from installing unknown Cydia repositories and enterprise certificates. But those who are on older firmwares and do not care about jailbreaking, we highly recommend them to update to iOS 9.3. Not only does iOS 9.3 offer far greater security, it also offers a lot of new features and performance improvements. As for any progress update on iOS 9.2.1/9.3 jailbreak, unfortunately there isn’t any real update on it as yet. While Italian developer Luca Tedesco has previously demonstrated a jailbreak on iOS 9.3 beta 1, he doesn’t plan to release it to public. Pangu team’s current focus seems to be on Apple TV 4 jailbreak which they will be releasing very soon. When and if there is any update on iOS 9.3 jailbreak progress, we’ll obviously let you know about it as soon as possible. Until then, if you have already updated to iOS 9.3 but now want to downgrade back to iOS 9.2.1, you can still do it as Apple is currently signing the 9.2.1 firmware. You can follow our guide here on how to do so: How To Downgrade iOS 9.3 On iPhone Or iPad [Tutorial]. The signing window could close anytime though so if you are planning to downgrade from iOS 9.3, you better hurry up before it gets too late. Anything is always hackable. It just take time. Wasn’t iOS9 supposed to be unhackable when they announced it before it came out lol. I’m sticking with 9.2 for now. I can always upgrade to 9.3 anytime. Will the jit problem be fixed ? The real irony is root is still there, all this security crap does is **tries** to limit what root can do however, in UNIX, root is GOD, and can uninstall this crap, and install anything that Apple may have removed. Another irony is sudo is still on a Mac and Stefan Esser found a hack to gain root access on Mac OS Yosemite that involves sudo and can fit in a Twitter comment. Lol. Also dont forget whatever firmware your on it has to have been installed via Itunes and not OTA. Would like to jb my 6S! (9.2) Stay on the lowest firmware if you care about jailbreaking, that’s an understatement. Question on security & jailbreaking. Lot of opinions on the matter and hoping to keep feedback specific to technical facts of the matter. Is a jailbroken iPhone (which has had the Alpine password modified to better password) more, or less, safe than a stock iOS? This is bad advice. If a jailbreak for 9.2.1 were going to be released it would have by now. Pangu team has had access to the 9.3 betas and likely found new security holes to exploit. Pangu team also will want the new Apple devices (SE + 9.7 iPad pro) to be jailbreaked as they will come with 9.3. History has shown us this. so is there any possibility for jailbreaking 9.2.1/9.3 any sooner ? There is a new feature in OS X El Capitan that is “rootless” and can prevent system file modification. This option can be enabled or disabled with a simple command in vboot. guys I’m on 9.1 ipad 4 should I expect a new jailbreak that supports non 64 bit devices or what ? Lol, yea see, I didn’t know that, cause I’m not an Apple user, but I have heard of single user mode, but idk if they’re the same thing… I am however familiar with the UNIX environment, from JB iOS devices, to Android, to Linux, such as Ubuntu. So when I hear of such a feature, I have my doubts, especially in vboot, or single user mode, as you said, a simple command can disable it, Apple issued or not… Lol. I had my doubts, too. It is, of course, enabled or disabled in vboot, though, which kind of defeats it’s purpose. I’m still on ios 7. Didn’t upgrade to 8 because the word was it was pretty bad for iPad 2 users. I here the later releases of ios 9 are friendlier, plus I’m losing access to apps that demand upgrading to a version that requires ios 8 or higher. Seems my only hope is that I get a 9.3 jailbreak before 10 comes out, or after of 10 doesn’t support the iPad 2.